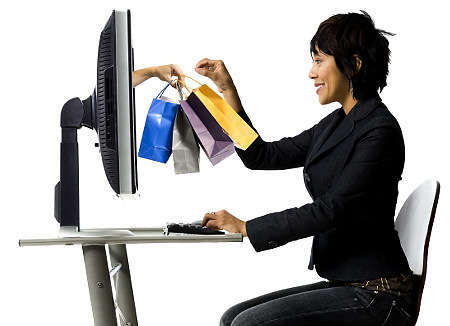 Deciding how your ecommerce Web site will be hosted can be daunting. There are several approaches available with regards to choosing your web host, each with different advantages and disadvantages. If you have a small business, you may want to consider a storefront or an online mall. For a fee, these services help you build and will host a small Web site through which to sell your products or services. These “site in a box” Web site services generally have options that include everything you need to sell online. Features and support vary by program and can include options such as search engine placement, credit card processing, and advertising. They tend to be template services, however, with less flexibility than a custom site. Familiarize yourself with the current offerings in this area before making a final decision. If you have a business that is too large for or has outgrown the smaller storefront services, you may want to consider the more flexible custom site. For added cost you can have a unique site, receive greater support, and handle more traffic. You have the options of hiring the same company to design and host your site or using separate design and hosting services. To evaluate the company’s ecommerce hosting capabilities, contact current customers and ask how pleased they are with the service. Find out how often the server is down and ask about help desk responsiveness. Find out what order related issues – if any – they have experienced. Also, consider how your site will be updated. Can you upload changes directly or do you have to wait for someone at the hosting company to get to it? If it is the latter, ask current customers about their experience with this process. Choose a short list of hosts that offer the ecommerce capabilities you require and pass “reliability” tests. Find a Web designer experienced in ecommerce applications. Together, decide on the hosting service and ecommerce systems you will use. Deciding upon the right combination will take some research. One way to gather a list of hosting options is to first find ecommerce sites that you like and/or have ecommerce abilities similar to your needs, then ask about the sites’ hosting and ecommerce providers. There are a number of web hosting review sites as well that you can check. Read the comments carefully, taking note of the recency. Look at what people are complaining about — and how many are complaining and saying negative things about the web host. Asking for referrals from business acquaintances is another. Many times, people are more than happy to share their positive experiences. For example, I use five different hosts and am generally pleased with all of them. Find one with exceptional help desk service and support documents. Another way to discover hosting options is to look for online advertisements. You can generally find these designated as “sponsored” listings in search engines and on informational Web sites. While there is no guarantee all of the companies you find will be high-quality, the willingness to pay for advertisements can be an indication of commitment.